Artspace June 26-30 Sewing on canvas ages 11-16 Using embroidery techniques and painting students will create unique embellished artworks on canvas. Students will also learn to stretch their own canvas, creating art that is ready to hang on their walls! Artspace- July 10-14 Birds in my neighborhood ages 7-10. In this class we will use a variety of media to create art with birds. We will concentrate on learning how to draw birds, how to identify common backyard birds and will decorate a birdhouse of our very own for our yards! We will walk to the Museum of Natural Sciences to study bird specimens and learn more about our feathered friends. Artspace- July 17-21 Book Arts: Sketchbook Explorations. ages 11-16. An artist’s sketchbook represents a place of freedom from judgement, a place that ideas are born. We will construct our own Coptic style sketchbook, either creating our own book covers or recycling old book covers. We will push the boundaries of sketchbooks by not only drawing, but glueing, cutting and customizing in every way imaginable. We will discuss the themes of the content we are using. Wild at Art- July 31- August 4. 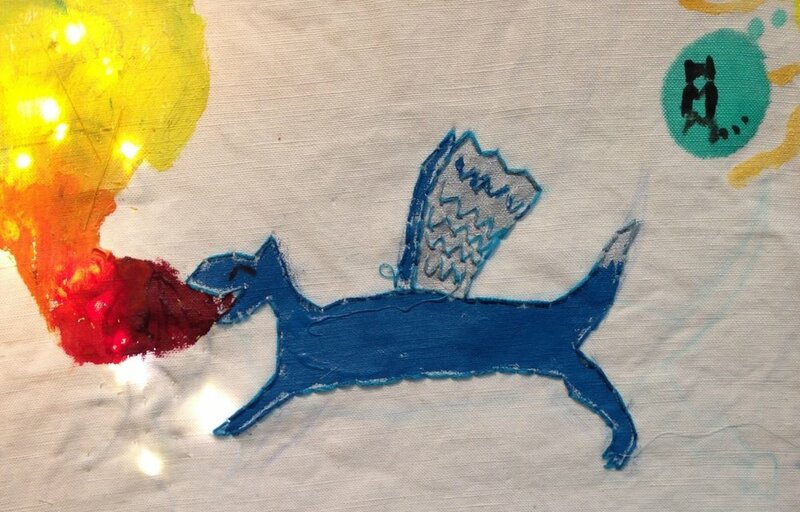 Sewing and painting- ages 6-12. Create unique art by painting on fabric and embellishing with embroidery stitches. We will also work on some small sewing projects like a draw-string pouch or bag. Cary Arts Center- August 21-25. Encaustic Painting ages 11-16. Explore basic techniques used in encaustic paintings. Discover the exciting and powerful medium of encaustic wax and how to use tools appropriately to apply it to various surfaces to create playful works of art.